He's still the real Slim Shady, but it took us a second to realize it. Eminem rarely makes public appearances, but he made a special exception on June 22 for his longtime collaborator and friend Dr. Dre at the premiere of HBO's "The Defiant Ones." "The Defiant Ones" is a four-part documentary exploring the remarkable careers of Dr. Dre and record producer Jimmy Iovine. 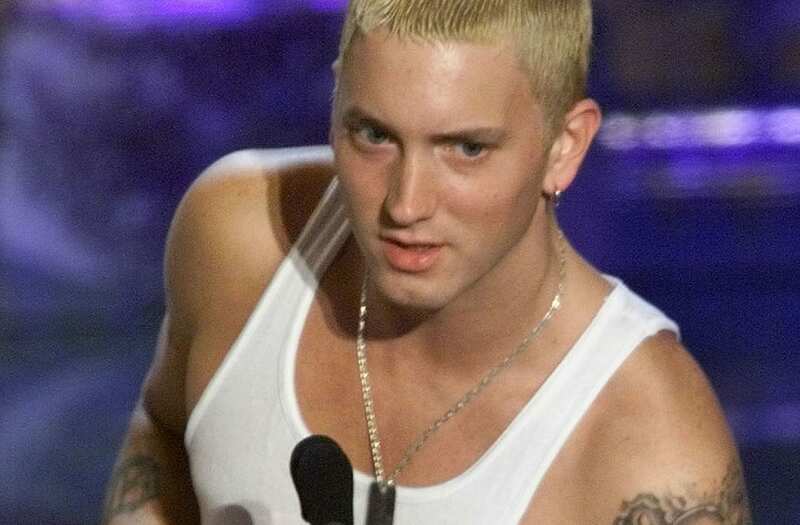 Eminem is just one of many A-list musical icons, including Bruce Springsteen, Snoop Dogg and Gwen Stefani, who told their stories of working with the incredible duo. The Los Angeles premiere was predictably star-studded -- but Eminem skipped the red carpet, agreeing to pose for just one photo with Dre and Iovine. With his ginger-brown facial hair and slightly bulkier frame, would you still recognize him? Now age 44, Eminem largely stays out of the spotlight. He last released a new song in October 2016 ("Campaign Speech," a political hip hop number), and he appeared on Big Sean's track "No Favors" in February 2017. Eminem speaks onstage during The 53rd Annual GRAMMY Awards held at Staples Center on February 13, 2011 in Los Angeles, California.